Credit cards are increasingly becoming the preferred payment option for consumers, but more people paying with plastic means increased payment processing costs for merchants. To help offset those fees, merchants are turning to merchant processing cash discount programs. Merchant processing cash discount programs are legal as long as you follow a few guidelines closely. When considering these options, it’s important to pay attention to the difference between cash discounts and surcharges. The two are used interchangeably but are not the same in practice. A cash discount is simply offering a discount to customers who pay with cash instead of a credit card. Discounts for cash are permissible in all 50 states, and can be offered with debit cards as well. It’s critical to make your customers aware of the offer by posting signs at your store’s entrance, inside your store, and at the register that clearly state your policy. Not only does the signage inform consumers, the signs are also required by law. Meanwhile, a surcharge, also called zero fee processing, is posting cash prices and charging an additional fee for customers who pay with a credit card. Visa, MasterCard, Discover, and American Express allow surcharging, but each have surcharging rules that you need to follow. To add surcharges without violating your contract with the card brand, you’ll need to get the card company’s permission first. According to Visa, surcharging is currently permitted in Australia, Mexico, and New Zealand, and on certain credit card transactions in the United States. Surcharging isn't allowed everywhere in the United States. Currently, there are laws limiting surcharging in several states, including Colorado, Connecticut, Kansas, Maine, Massachusetts, Oklahoma, and Texas. Surcharges are typically assessed as a percentage of the sale and can only be applied to credit card transactions and not debit purchases. Surcharges are capped at your discount rate—a maximum of 4% of the pre-sales tax amount—and announced with signage posted at least 30 days in advance. 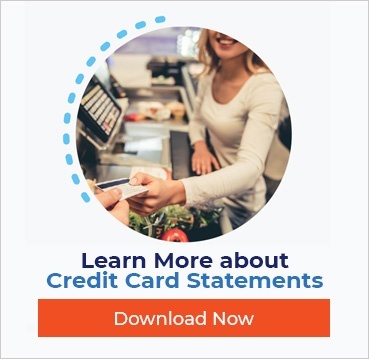 Surcharging can be done with online purchases as well as in-store sales, and you must apply the surcharge to all your all credit card transactions. Setting up cash discounts and surcharges on credit card purchases doesn’t necessarily mean that your merchant account will be no longer have processing costs. In addition to per-transaction fees, most credit card processors charge one-time, monthly, and incidental fees, such as monthly minimum fees, chargeback fees, compliance fees, and early termination fees. A surcharge of 4% on certain transactions might help to make up for transaction fees, but isn’t likely to reduce other monthly fees. Also, to be compliant with credit card rules, your POS system software must be updated to show so that receipts clearly reflect a surcharge on items and that the surcharge was removed for a cash payment. You’ll also want to stay up-to-date on any changes in laws around merchant processing cash discount programs to avoid penalties. If you are thinking about implementing a cash discount program, it’s worth considering the message your signage will send to customers. Some customers—who prefer to use credit cards over cash—may view the posted cash discount program in a negative light. If the customer doesn’t carry cash, they may decide to not buy anything from you at all. Remember that if you decide to implement a surcharge or discount for cash, you and your payment processing company must abide by network rules. Make sure the time and effort involved in the process—and the message it sends to your customers—are worth it in the long run.